She also formed SkillsUSA Minnesota’ Alumni organization, which is running strong today. In 2007, she coached her first national Advertising Design Champion (Leff won a bronze herself in 1994), and she has committed herself to nurturing industry support for her program. She’s also committed to lifelong learning, constantly making sure that her programs are technologically up-to-date and that her own skills are as sharp as possible. Leff is also active in service, working with the Magnifying Abilities program to introduce mentally handicapped adults to the stimulating world of design. “Her mentorship will always be something I value,” says a former student. 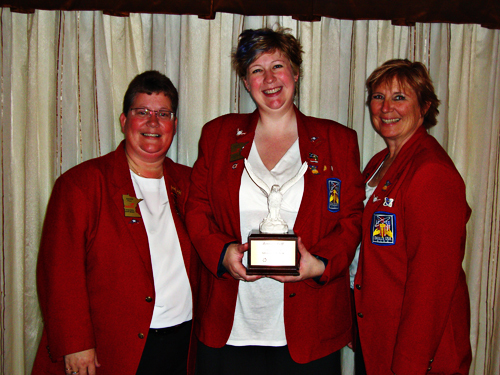 Jennifer Leff was honored as SkillsUSA Minnesota Secondary/ High School Advisor of the Year in 2008.